Product prices and availability are accurate as of 2019-04-17 18:00:41 UTC and are subject to change. Any price and availability information displayed on http://www.amazon.co.uk/ at the time of purchase will apply to the purchase of this product. 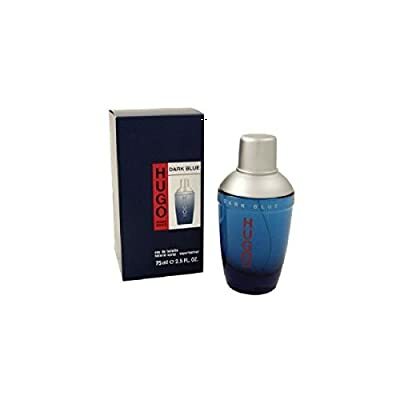 Hugo Boss Dark Blue 125ml Eau de Toilette spray fragrance for men. Typically ? 38.00. Hugo Boss Dark Blue has notes of Lime, Ginger, Grapefruit, Geranium, Cardamom, Sage, Cypress, Patchouli, Tobacco, Amber, Olibanum and Suede. Anna Says: Did you understand that the inspiration for this bottle is a mixed drink shaker? The idea is to stimulate memories of nights out on the town.